DAF Transport Efficiency for buses and coaches too - DAF Trucks N.V.
At Busworld Kortrijk, to be held from 16 to 21 October, DAF will be extending its DAF Transport Efficiency programme to the bus and coach sector. This programme aims to further increase efficiency for operators. 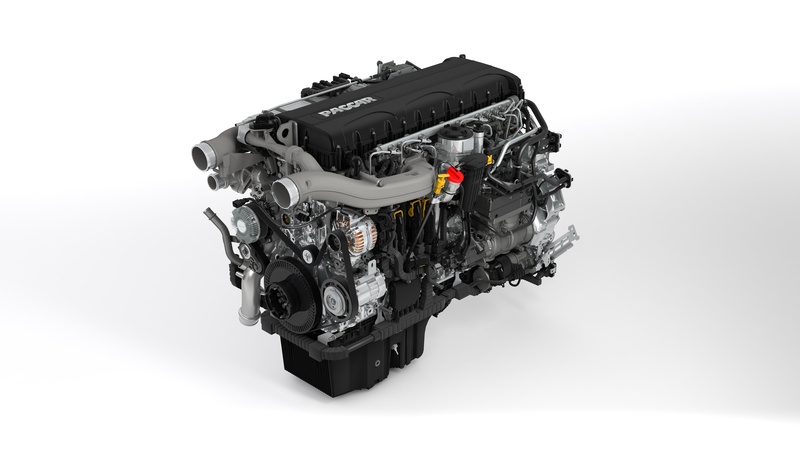 To achieve this goal, DAF Components not only supplies a complete range of reliable and economical PACCAR engines, but also a comprehensive package of services to ensure maximum vehicle availability. 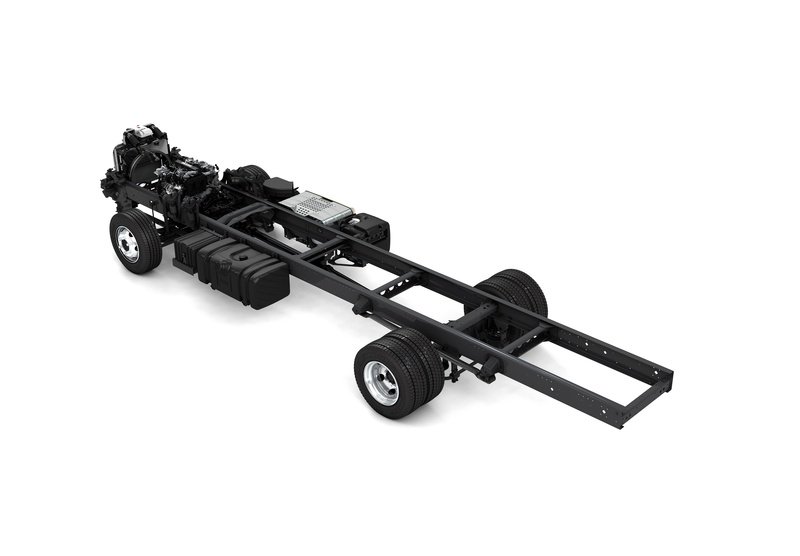 A key new addition to the DAF Components offering, is a DAF LF chassis module as a basis for compact buses. For decades, DAF has held a prominent position on the international market for buses and coaches as an independent supplier of engines. 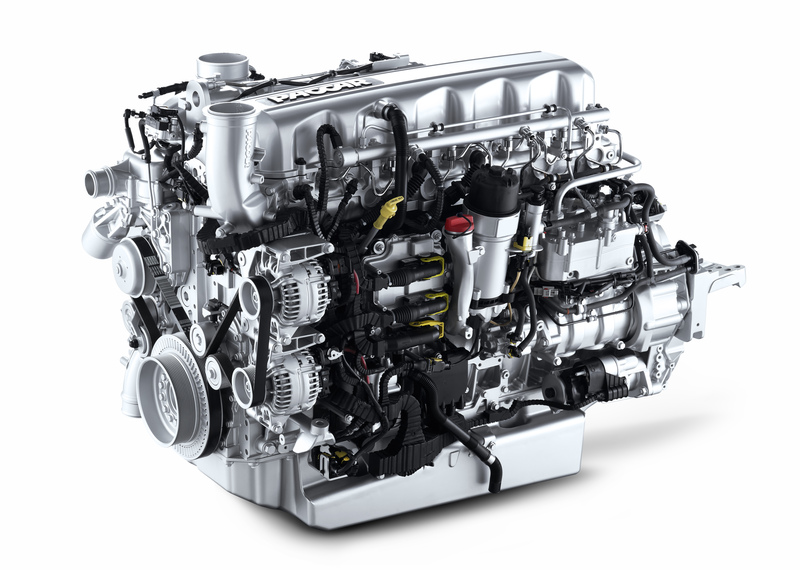 DAF Components provides a complete range of Euro 6 engines for this market. 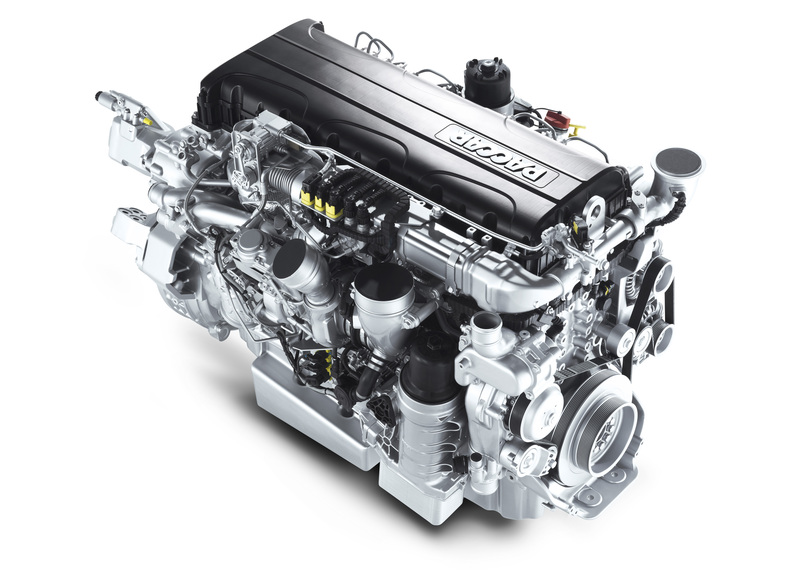 The state-of-the-art PACCAR MX-13 engine with ratings of 303 kW/412 hp to 375 kW/510 hp is primarily fitted in large coaches for long distance journeys, while the new, lower-weight 10.8-litre PACCAR MX-11 engine is also used in buses for public transport. In line with the DAF Transport Efficiency philosophy, both engines are characterised by their low fuel consumption, optimum reliability and long service intervals of up to 150,000 kilometres, for maximum vehicle availability and the highest returns per kilometre. 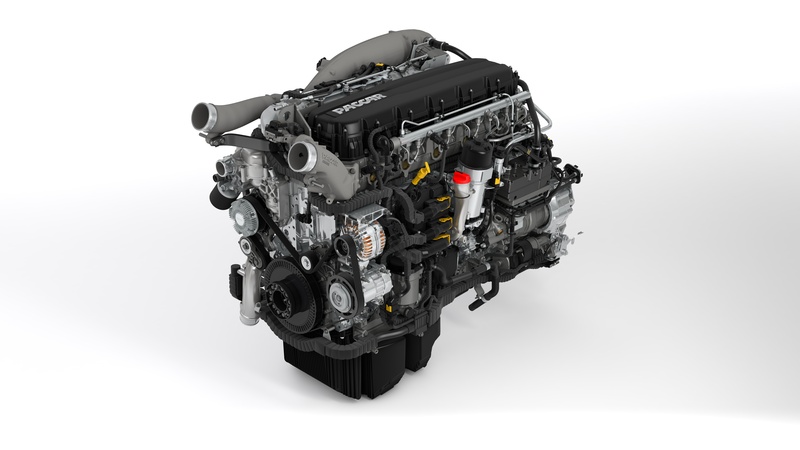 The same applies to the popular 9.2-litre PACCAR PR and 12.9-litre PACCAR MX engines, which are supplied for Euro 3, Euro 4 and Euro 5 emission standards. 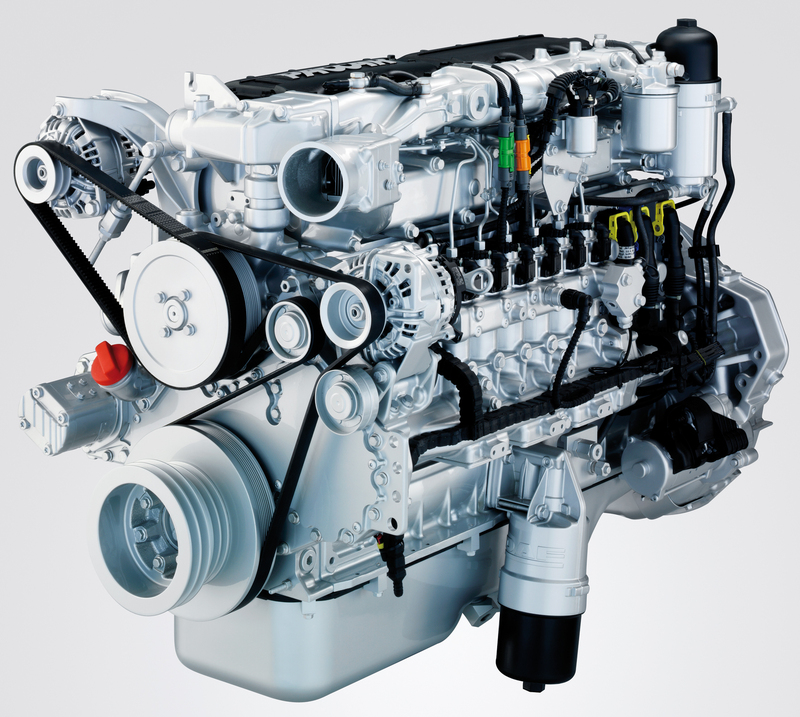 6.7-litre PACCAR PX-7 six-cylinder engines (Euro 6), with ratings of 112 kW/152 hp to 231 kW/314 hp. There is a choice of manual and automatic transmissions. The DAF LF chassis module is perfect for building compact school buses or luxurious VIP buses. Bus and coach manufacturer Solaris will be exhibiting the first bus built on the LF chassis module during Busworld Kortrijk. For optimum efficiency, it is important that a bus or coach is maximum usable. Operators of buses or coaches featuring a PACCAR engine can call on the assistance of more than 1,000 DAF service points located across Europe and beyond, of which 200 are specially appointed as 'DAF Coach & Bus dealers'. These dealers are located along major routes for passenger travel and are fully equipped to provide services for systems that are specific to buses and coaches, including sanitary facilities and pneumatic equipment. DAF's International Coach Service is also ready to provide its services 24 hours a day. On top of that, DAF dealers offer repair and maintenance contracts for maximum reassurance before the journey commences.